Moritz Moppelpo is a series of books converted into ePubs. We created 2 ePubs for the publishers Ars Edition namely - Braucht Keine Windel Mehr & Braucht Keine Schnuller Mehr. 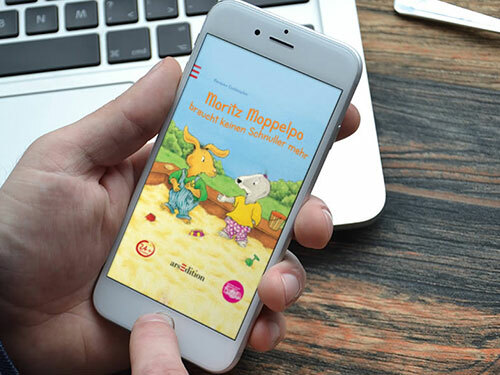 Moritz Moppelpo series were converted into ePubs to make the reading experience entertaining and engaging. The animation in the book was created from jQuery, a programming language. This helped enhance the reading experience. An audio function was also made available which makes the animated characters in the book speak by just tapping on them. Both the books were made easy to understand and occupied the reader throughout. We successfully executed these pubs which were educationally valuable yet easy to understand!